to tattling on the stars about their tantrums, foibles, affairs, births and divorces. His syndicated column was carried by 187 outlets, including The New York Post and the LA Times (many of his columns are available on the Times website). Fidler had several radio "columns" that featured his trademarks. 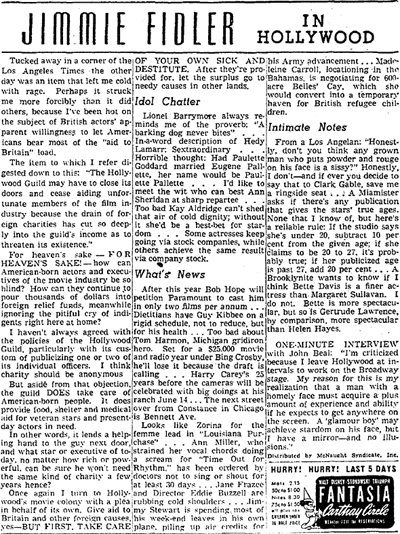 His reports were punctuated with a Morse-code like beeping; he often featured "open letters" to the stars and studios, berating then for some behavior or practice; Jimmy Fidler pulled no punches when reviewing a movie, giving four bells for those he liked and calling a one bell performance "a real stinkeroo"; he made reports from "notes in his little black book", supposedly gathered by a network of spies around Hollywood; and he closed his broadcasts with an often parodied "Good night to you, and I do mean you!". Jimmy Fidler was thought to be in the shadows of gossip columnists like Hedda Harper and Louella Parsons, but he was generally more feared by the studios because he was more brazen in his reporting. 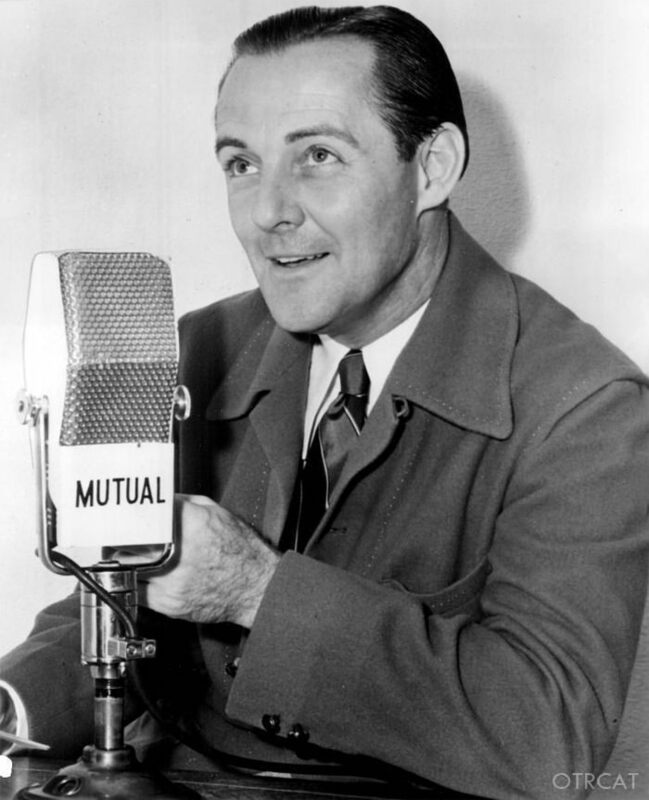 Arrid Deodorant, sponsor of Fidler's 1942 show on the Blue Network, ended each broadcast with "Arrid doesn't formulate Jimmie Fidler's opinions, he reports the news as he sees it." 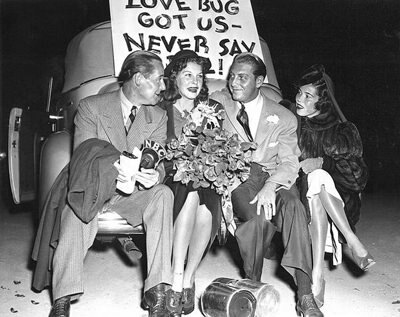 There is a story that he once scooped Louella Parsons, the undisputed Queen of the Gossip columnists, on a scandalous incident concerning Clark Gable in November, 1935. Parsons was so embarrassed over being scooped that she lied about the incident in her autobiography. But that's Hollywood. Jimmie Fidler is honored with a Star on the Hollywood Walk of Fame for his contributions to Radio at 6128 Hollywood Blvd. Be the first to comment on "Jimmie Fidlers Hollywood"